rhizome can be made tender by prolonged boiling. rhizome is best when peeled and cooked, either by boiling or roasting. central core of young shoots is edible raw. young spadix is edible raw. plant is an effective insect repellent. varieties in Ontario are Calamus sweetflag (Acorus calamus) and American sweetflag (Acorus americanus). 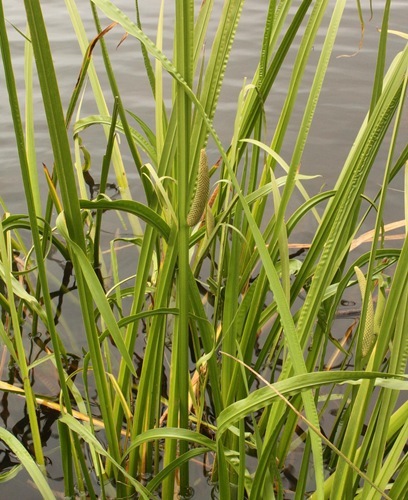 grows in marshes, quiet water, and wet, open areas.